Homestead Hospice of Northwest Georgia is currently seeking volunteers to assist patients in Catoosa County. Among our core values as a Hospice agency, Homestead believes no family should face end-of-life care alone, or feel abandoned. As a hospice volunteer you are blessed to be able to make a difficult time a bit more bearable. 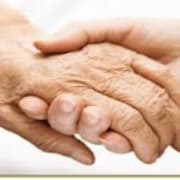 You get to be the person that embodies the heart of Hospice by assisting a family with the gift of time: Time for a caregiver to leave for an hour or two to go to the store to pick up needed supplies without rushing thru the shopping and forgetting a needed item. The Hospice volunteer is the person that does that amazing thing that a family remembers long after Hospice services are no longer needed.